Dr. Trevor Tew takes great pride in providing the finest chiropractic care to each and every patient. We have included information below about the different chiropractic services we offer but please call us at 907-770-6683 if you have any questions! We provide advanced spinal correction and chiropractic adjustments utilizing "state of the art" chiropractic techniques. Never in the history of chiropractic care have chiropractors been able to provide the level of help and expertise that is available today. Many of the newest chiropractic techniques are actually safer, more comfortable and more effective than ever before. As a chiropractor who cares about utilizing the most advanced chiropractic techniques, Dr. Trevor Tew has years of training, expertise and experience in helping patients get relief from back pain, neck pain, headaches, and other related conditions originating from the spine. Chiropractic care under a trained professional can even be used to prevent injuries and help you achieve total health or wellness. Safe and effective, non-surgical relief for low back or neck pain using the Accu-SPINA is an alternative treatment designed to help relieve your low back, neck, or referred pain such as sciatica or arm pain. We have helped thousands of Alaskans with the most advanced form of decompression on the market. 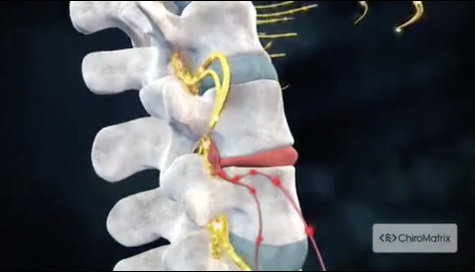 Clinical studies of non-surgical spinal decompression therapy show that a high percentage of patients show significant reduction of pain and in many cases the elimination of pain. 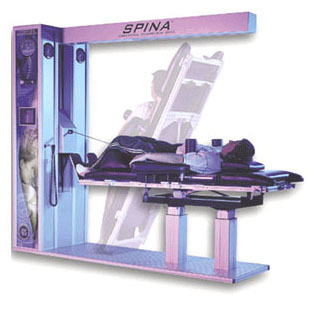 Spinal Decompression Therapy using the Accu-SPINA is a safe and effective treatment for pain without the risks associated with surgery, anesthesia, infection, injections, or prescription medication. The Kinesio Taping® Method is a definitive rehabilitative taping technique that is designed to facilitate the body’s natural healing process while providing support and stability to muscles and joints without restricting the body’s range of motion as well as providing extended soft tissue manipulation to prolong the benefits of manual therapy administered within the clinical setting. Latex-free and wearable for days at a time, Kinesio® Tape is safe for populations ranging from pediatric to geriatric, and successfully treats a variety of orthopedic, neuromuscular, neurological and other medical conditions. The Kinesio® Taping Method is a therapeutic taping technique not only offering patients the support they are looking for, but also rehabilitating the affected condition as well. By targeting different receptors within the somatosensory system, Kinesio® Tex Tape alleviates pain and facilitates lymphatic drainage by microscopically lifting the skin. This lifting affect forms convolutions in the skin thus increasing interstitial space and allowing for a decrease in inflammation of the affected areas. Many of our patients come to see Dr. Tew to address a specific pain symptom such as back pain, neck pain or headaches. While he will address each patient's specific condition with chiropractic care, we often find it helpful to "coach" our patients towards achieving a healthier lifestyle. For example, there may be certain activities that you should avoid or do differently to prevent yourself from unintentionally aggravating your particular health challenges. The goal of including lifestyle advice with a chiropractic care plan is to help each and every patient achieve the fulfilling and happy lifestyle they deserve, one that is full of the activities that are enjoyed most. We recognize that every single one of our patients is a whole person, and we use our expertise to help them reach total health and wellness.